J.K. Woodward is back again and very excited to show them something. The boys are afraid. Pre-Christmas segments. 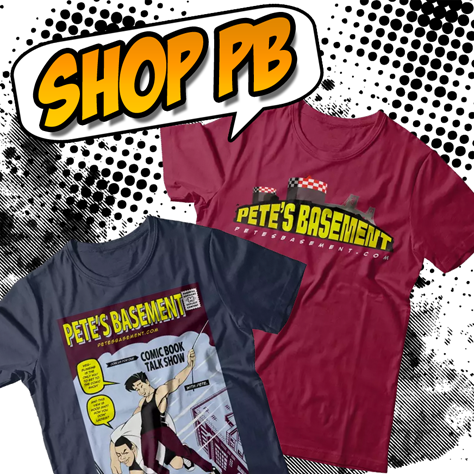 Pete tells you how to shop for the geek in your life. Ramon and Steve review this week's haul. Fear Itself Five has driven Pete past the edge of madness. Now he's out for revenge! Steve reviews the Magdalena. Ramon takes your questions and sails through this week's books. There was a smell, we think it was from last week. Well, it's gotten worse. Pete seems to like it, but Steve and Ramon refused to go down in the basement this week. Enjoy these segments! There's a lot to talk about this week, and all of it's BAD! Pete and guests get down to the nasty business of reviewing what could be the worst group of comics ever assembled in one show the only way they can stand it -- with booze. Oh boy.